If you follow me on Instagram, you may have noticed a change in my posting patterns. Gone are the bright afternoon photos of homemade salads and freshly baked goods. 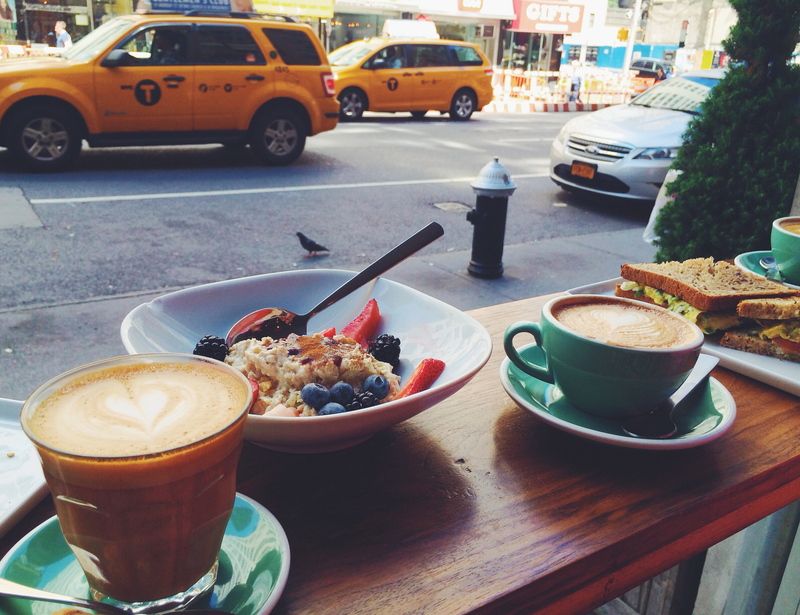 Weekday posts are scarce, pictures of my usual Los Angeles hangouts replaced with those of decadent weekend brunches in Downtown Manhattan. 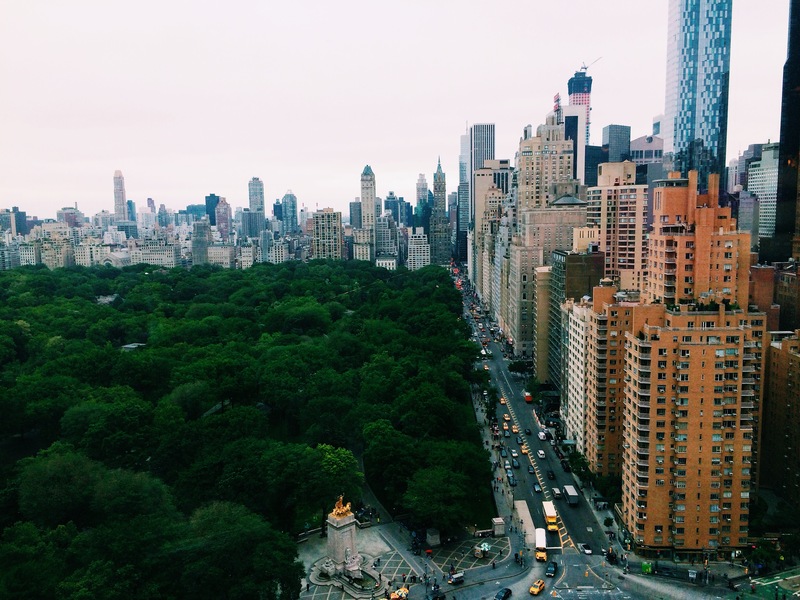 At the end of May, I moved from Los Angeles to New York City for a summer internship at Food & Wine Magazine. I cannot begin to explain all that has happened in the past two months–the lessons learned, friendships made, and delicious food eaten. What I can say now, though, is how much I miss cooking. I live with my cousin in a 300 square foot apartment in Midtown, our kitchenette equipped with nothing but a microwave and a miniature refrigerator. While eating out is a large part of the lifestyle here in New York, bars and restaurants bustling with people late into the night, it gets exhausting. I long for the leisurely hours spent flipping through cookbooks, baking cookies and cakes or tossing together fresh produce for simple summer salads. With its bounty of vibrant fruits and vegetables, summer is a much-anticipated season for cooks and bakers alike. 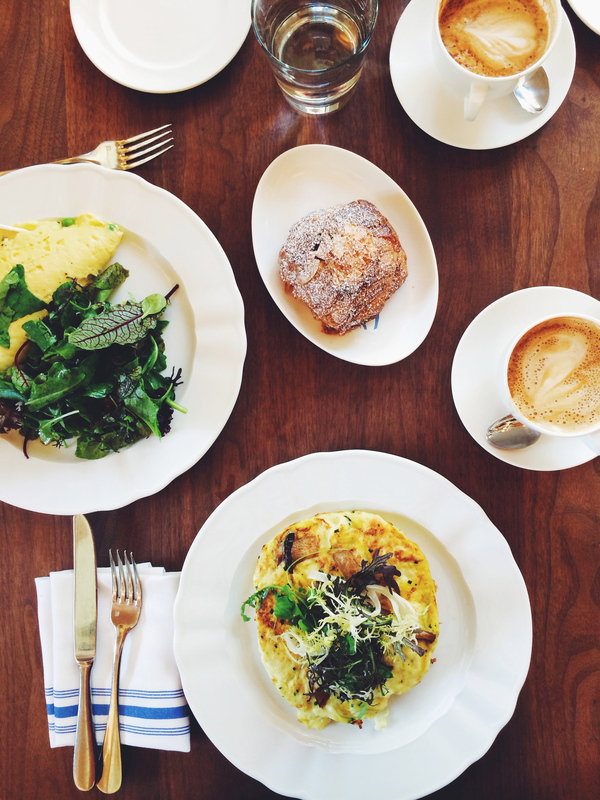 Australian-inspired breakfast and coffee at Little Collins Café. Stellar brunch at Lafayette in NoHo. Try the chocolate-banana-coconut croissant. 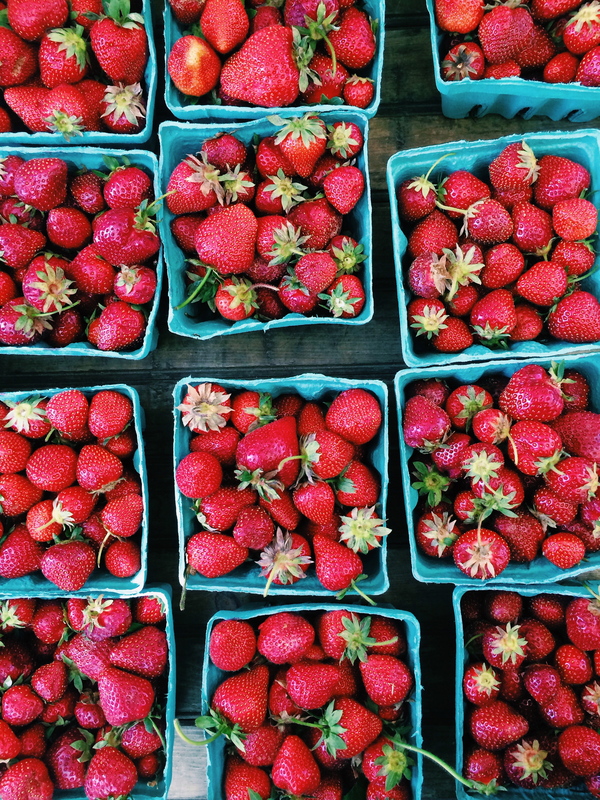 Lusting after sweet, dainty strawberries at the Union Square Farmers’ Market. I made this salad on a lazy afternoon a few days before my departure. I was in the mood for a change and deviated from my usual drizzle of olive oil and lemon juice, creating a delicious Asian-inspired dressing using just a few pantry staples. A single ingredient, or in this case, dressing, can completely transform the flavors of a dish. The creamy peanut dressing pairs well with hearty lentils and crisp arugula, but would be a welcome addition to shrimp spring rolls or a cold soba noodle salad. The recipe is more of a framework than a strict guideline, so feel free to improvise with whichever combination of lettuce, vegetables, and protein suits your fancy. * Use a good-quality peanut butter with a loose consistency. Look for brands that have only one ingredient (peanuts) and a layer of oil on top. 1. Place the lentils on top of the bed of arugula. 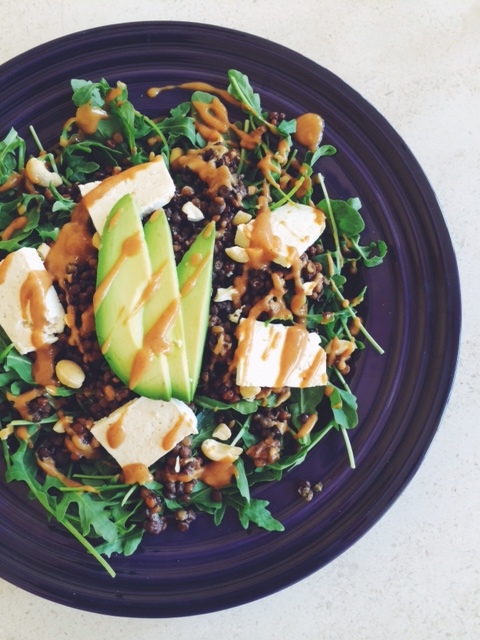 Top with avocado slices, tofu, and cashew pieces. Season with salt and pepper to taste. For the dressing, combine the peanut butter, vinegar, lemon juice, soy sauce, and honey in a small bowl using a whisk or fork. Slowly drizzle in the oil, whisking to combine until the dressing reaches a smooth consistency. If the dressing seems too thick, add a bit more oil or water. Drizzle the dressing over the salad. Extra dressing can be refrigerated in an airtight container for up to one week.